The O’Malley administration is seeking authorization to float $750 million more in state debt over the next five years, a move Comptroller Peter Franchot objects to as potentially triggering a property tax hike. The administration presented the plan at a meeting of the Capital Debt Affordability Committee last Monday. Franchot called it “an out-of-left field request” with no document to show how the money was to be spent and little to justify it. According to Franchot, Sen. James Ed DeGrange, chairman of the Senate Capital Budget Subcommittee and a non-voting member of the Debt Affordability Committee, also raised objections. There were apparently no reporters or other observers at the meeting because there had been no public notice of the meeting as is required under the Open Meetings Act for public bodies created by statute, such as the debt committee. No action was taken last Monday, and a follow-up meeting was scheduled for 3 p.m. today in order to meet a deadline for consideration by the legislature’s Spending Affordability Committee. When MarylandReporter.com complained on Friday morning that there had been no public notice of either meeting posted anywhere, in apparent violation of the Open Meetings law, a notice was posted within the hour on the website of State Treasurer Nancy Kopp, who chairs the debt committee. Brogan said that Budget Secretary Eloise Foster, a member of the committee, was asked last week to provide a memo for today’s meeting explaining how the money would be used. Franchot said the request last Monday was not in writing, and the only paperwork was a briefing document showing how it would impact the state’s current debt standards. 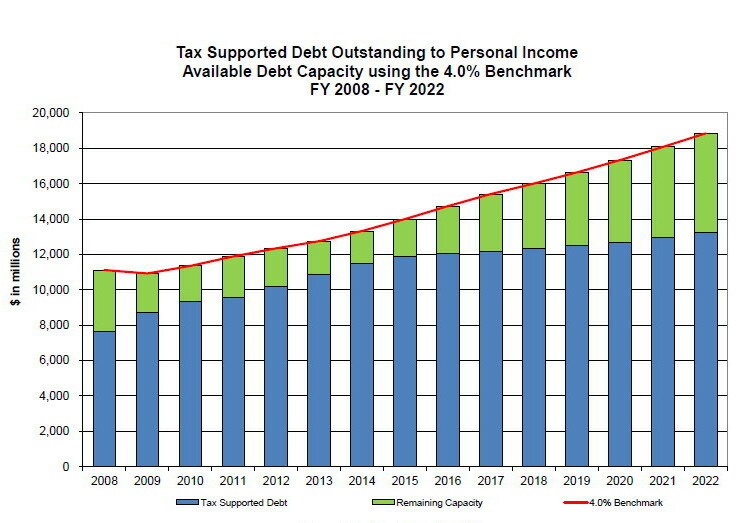 Currently Maryland does not permit debt obligations to exceed 4% of personal income in the state, and the debt service on the bonds – principal and interest – may not exceed 8% of state revenues. 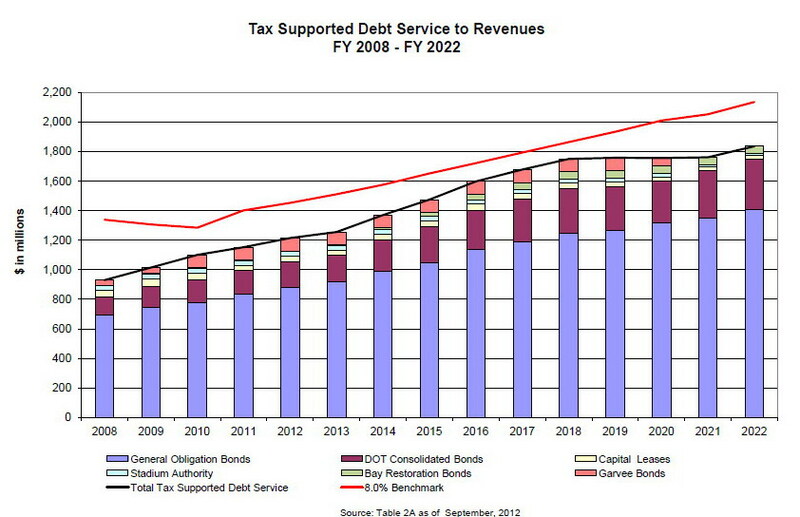 Page 8 of the briefing document, which had been adjusted for the increase in debt and the increase in state revenues, shows the total new debt is well within those limits. “I saw it as a back door tax increase,” Franchot said. “Adding that much debt is going to cause an increase in the state property tax,” which is dedicated to paying off the debt. Among its budget-balancing techniques in recent years, Gov. Martin O’Malley has beefed up the general fund by taking money out of special funds supported by dedicated taxes, such as the Open Space Program and the Bay Restoration Fund. He has replaced the money with bonds to support those programs. “Long after Martin O’Malley is finished as governor we’re going to be paying off this debt,” Franchot said.